Lois Weinberger's 2002 solo exhibition in Gallery 1 explored urban ecology and nature's continuous adaptation to human presence and disturbance of the land. His use of wasteland plants and weeds in his installations draws attention to peripheral and overlooked areas. 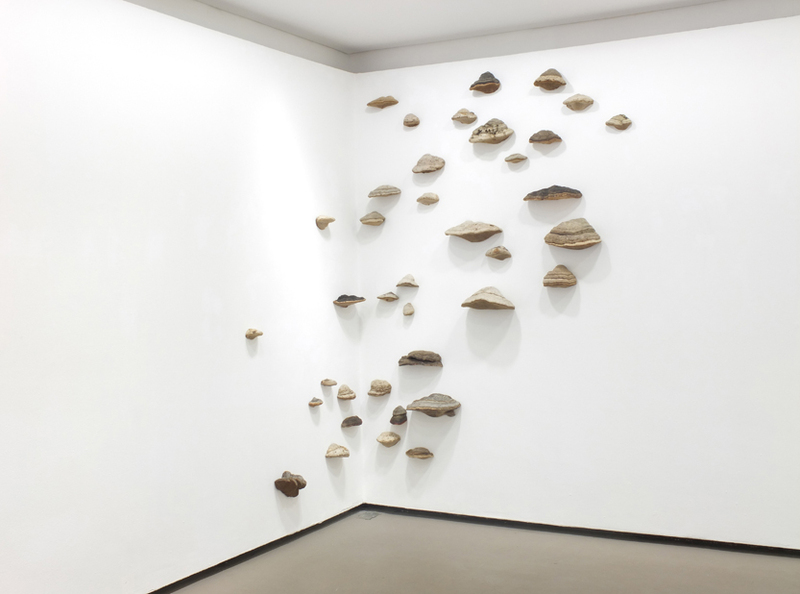 Invasion comprises a large number of tree fungi, which appear to grow directly out of the Gallery wall. It is a quietly disturbing and melancholy reflection on passing time and decay. Lois Weinberger (born in 1947 in Tyrol, Austria) has held numerous exhibitions and public commissions all over the world for more than thirty years. He represented his home country at the Venice Biennale in 2009. With special thanks to Franziska Weinberger.